Larry Pyle, a Cincinnati architect who shares my interest in the Mt. Healthy Mill, as well as the history of the John Lane family, shared these photos of the mill with me this week. I’d never seen either before. 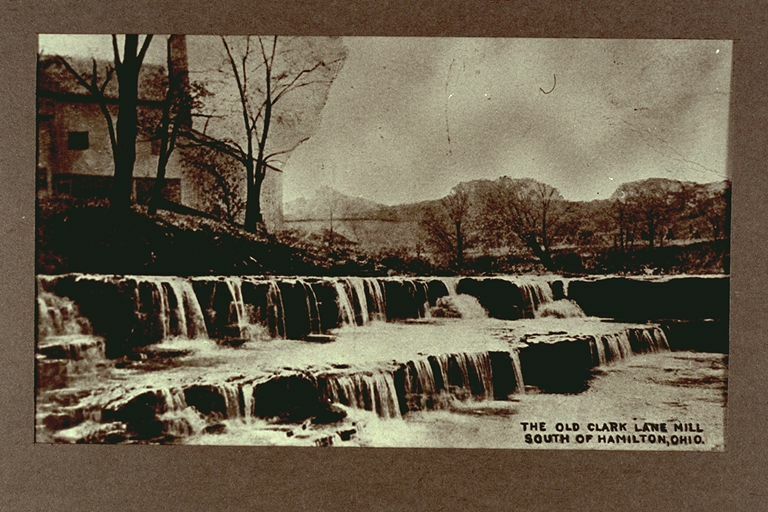 The caption on the first photo mistakenly says it’s the Clark Lane mill. Though Mr. Lane did own a mill nearby, this one was built by Jediah Hill, who passed ownership to his son-in-law, Henry Rogers, and Henry’s son, Wilson Rogers. 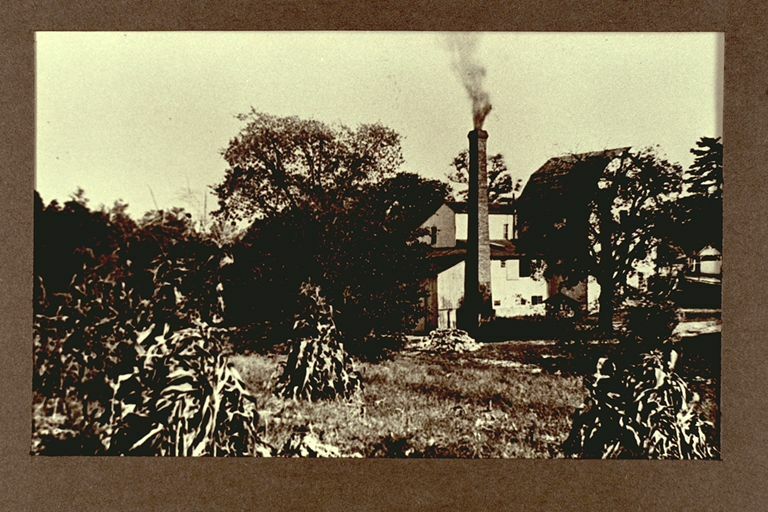 They later sold the mill to Charles Hartmann, who converted it to a grist mill, and whose wife Amelia chose the name Pride of the Valley for their flour. The last owner was Ralph Groff, who sold a variety of products to hotels,restaurants, an homes in Cincinnati, including El-Mi-Jo, their special cake flour blend, named after their three oldest daughters, Elaine, Miriam, and Joan. I love this photo because it shows the dam from a different angle. Do you have the dish towels available on line?